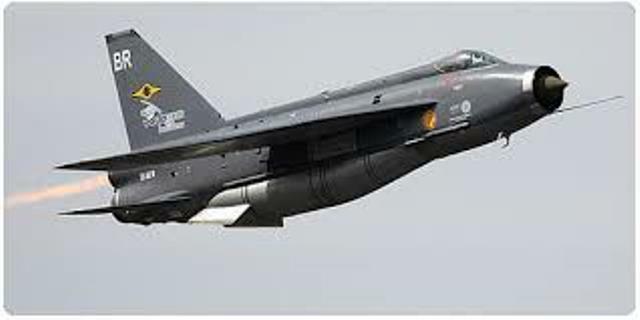 The RAF Lightning fast attack aircraft is arguably the most impressive aircraft flown during the Cold War. 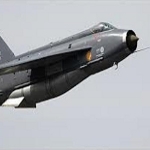 They were fitted with Rolls Royce Avon engines to achieve a top speed of 810mph. 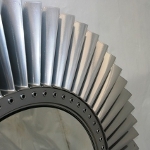 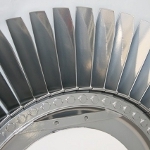 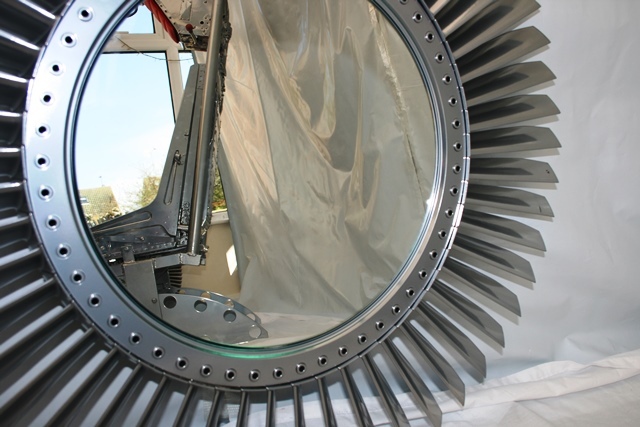 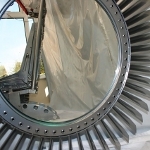 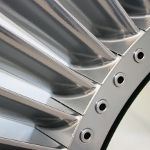 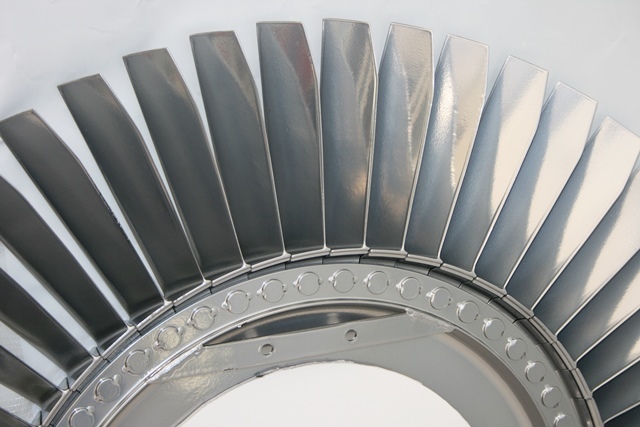 Within the Rolls Royce engine are a number of highly engineered Jet fan blade assemblies. 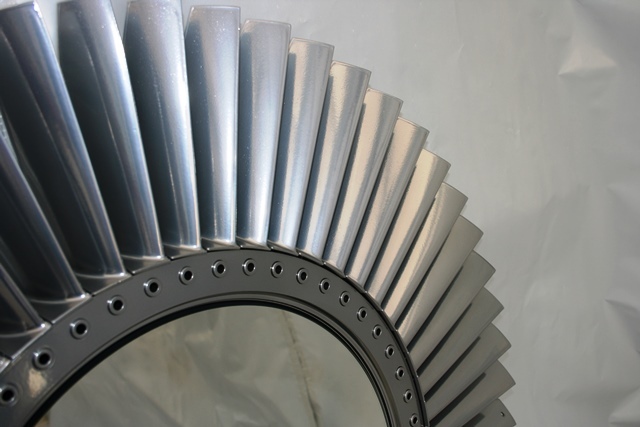 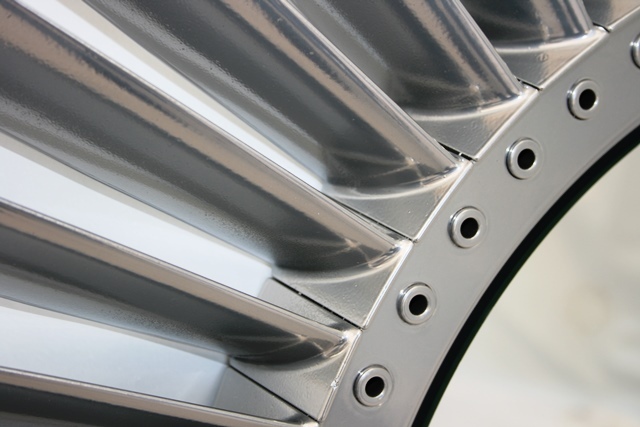 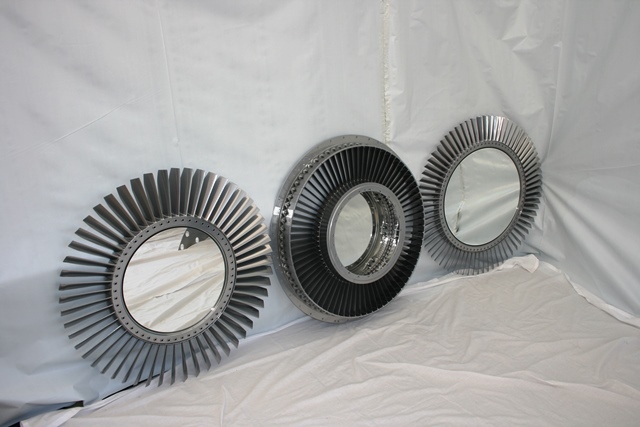 VAF has professionally stripped the fan blades to base metal and then finished them to a Chrome effect. 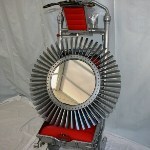 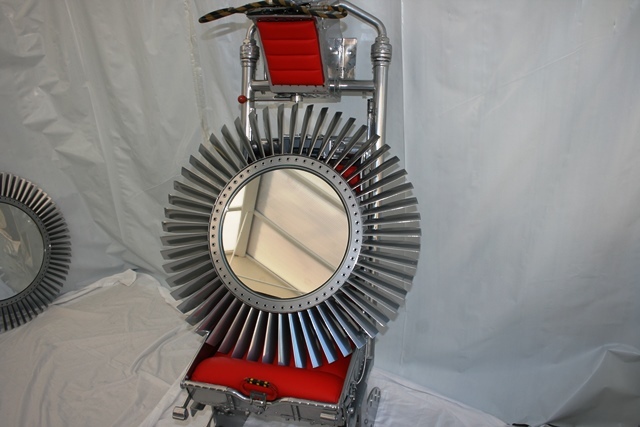 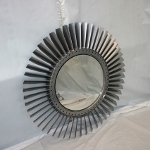 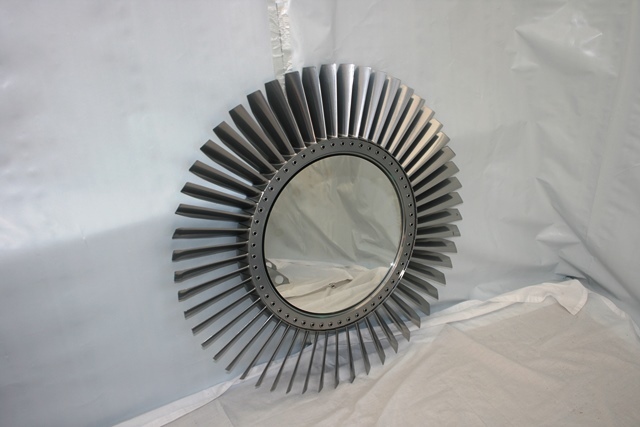 The fan blades have mirrors fitted and a fixing point attached to the rear allowing for easy wall hanging. 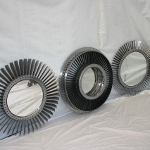 This collection of fan blades are taken from an engine fitted to a Lightning aircraft making these a unique designer one off piece of aviation furniture.